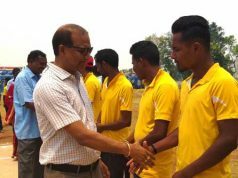 Bhubaneswar: NALCO East Zone invitation Gold tournament concluded, here at the Bhubaneswar Golf Club (BCG) on last Sunday. 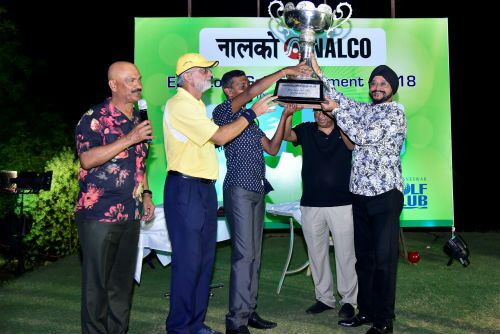 More than 100 golfers (Men, Ladies and Veterans), participated in this 3 day long Eastern Zones largest Inter Club Golf Tournament, which is being held annually since 2004, with the support of M/s National Aluminium Company Limited (NALCO). The tournament witnessed Inter-Club Team competition as well as competition in the Individual categories. 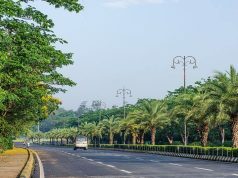 This year top golfers from Patna, Raipur, Vishakhapatnam also participated for the first time along with regulars golfers from Ranchi, Kolkata, Jamshedpur, Sambalpur and Paradip Golf Clubs. The largest contingent was from the Host Club, Bhubaneswar Golf Club. The Closing Ceremony, the Prize distribution function was held on Sunday 11th March in the presence of Senior Officials of NALCO, and dignitaries from the Govt. as well as the Corporate Sectors.